Jarro-Dophilus EPS Higher Potency is a shelf-stable probiotic supplement with 8 beneficial bacteria strains in it. It contains 25 billion CFU and the potency is guaranteed up to the stamped expiration date as long as the product is kept at room temperature or cooler. It comes in aluminum-sealed unit packaging which is waterproof and airtight. 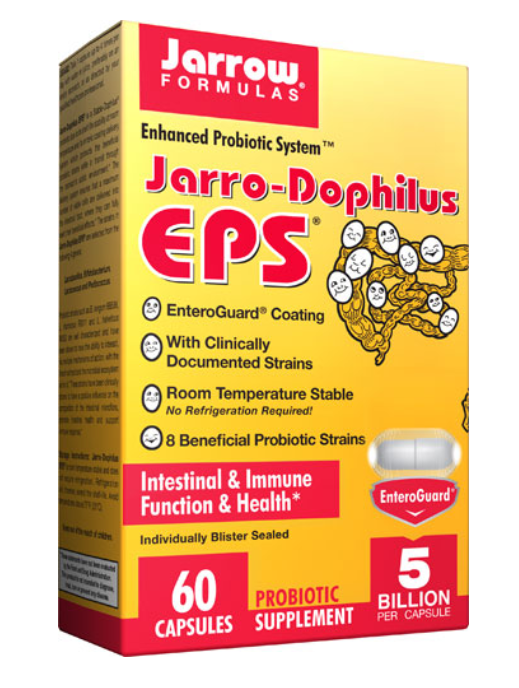 Note that Jarrow also manufactures a product called “Jarro-Dophilus EPS” which contains 5 billion CFU and contains different probiotic organisms in it. The 2 products are not comparable. What Does Jarro-Dophilus EPS Higher Potency Do? This probiotic supplement is marketed to “improve the properties of the intestinal microflora, promote intestinal health and support immune response.” Exactly what is meant by providing support for immune response is not known. Dietary supplements such as probiotics can only label general structure/function claims as only an FDA approved drug can be marketed to diagnose, treat, cure or prevent any disease. Based on the strains included in the product, this product should be able to live up to those claims assuming the proper amounts of each strain are included. Jarrow doesn’t specify how many CFU of each bacterium are present so it is not possible to draw any specific conclusions about how it helps. Which Probiotics are in Jarro-Dophilus EPS Higher Potency? The strains in this probiotic supplement are provided by 3 well-known probiotic suppliers: Danisco, Institut Rosell-Lallemand and Morinaga Milk Industry. The strains have origins in human, dairy, plant and unknown sources. The vegetarian capsule is acid-resistant and is made from hydroxypropylmethylcellulose with a liquid-based enteric coating. I think it is one of the toughest capsules I have ever seen. The capsule size is larger than Culturelle. How Does Jarro-Dophilus EPS Higher Potency Differ From Ultra Jarro-Dophilus? Note that these differences are at the time this article was written. Always read product labels! Ultra Jarro-Dophilus (UJD) and Jarro-Dophilus EPS Higher Potency (JDHP) are marketed by the same company, Jarrow Formulas. Both share 4 of the same probiotic strains (BB536, R0011, La-14 and R0052). Both source their probiotic strains from the same three companies. Both are free from wheat, gluten, egg, fish/shellfish and peanuts/tree nuts. Both have unknown quantities of each strain. Both have 3 types of Bifidobacterium and both have strains from the lactis species (different strains), breve species (different strains) and longum species (same strain). Both have an L. plantarum in them (different strains). Both have an L. casei in them (different strains). UJD has the probiotics in a gel-forming matrix; JDHP uses a more resistant capsule to protect the probiotics. UJD is designed to “restore, protect and maintain a balanced intestinal flora” whereas JDHP is designed to go beyond that to also enhance intestinal health and support immune response. I would guess that the relative amounts of the different strains in the two products are different and that is why Jarrow labels different structure/function claims. JDHP has an aqueous enteric coating, which is probably a polymer (plastic-like) designed to disintegrate in the pH of the small intestine. What Allergens are Present in Jarro-Dophilus EPS Higher Potency? At this time, the product contains dairy and soy. Whether that soy is GMO or non-GMO is currently being investigated by Jarrow. If the product is completely non-GMO then according to the company representative I contacted, that information will be on the label in the future. The supplement also contains potato starch, vegetable magnesium stearate and vitamin C.
According to the company, no, refrigeration is not required to maintain potency. However, refrigeration will extend the shelf-life. I always recommend refrigerating probiotics unless the manufacturer directly says not to so that the maximum numbers of microbes are preserved. Where to Purchase Jarro-Dophilus EPS Higher Potency? Is Jarro-Dophilus EPS Higher Potency the Right Probiotic Supplement for You? If you need help deciding if this is a possible supplement for you, nutritional consultations can help. I believe that it is a quality-made, high-potency, multi-strain supplement that uses documented strains from reputable suppliers. The enteric coating is questionable, however. Without knowing the numbers of each strain in the product, it is not possible to speculate on specific effects beyond Jarrow’s claims to “improve the properties of the intestinal microflora, promote intestinal health and support immune response." 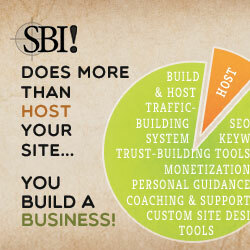 Understand that Jarrow is not the only company that does not disclose the amounts of each microbe. Many companies do not even disclose the strains that are in their products, so I appreciate Jarrow providing that information. To read about my approach to supplement reviews and about my reviews of other probiotic supplements, click here.